See the best-selling and most popular mixing bowls used by bakers like you. Take a look. Like its little sister, this recipe calls for a simple ration of ingredients: 1-1-1 for cups of peanut butter to cups of sugar to eggs. 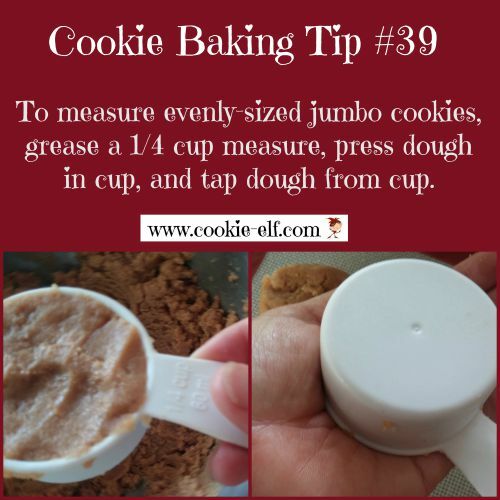 Since these are jumbo cookies, they take more cookie dough per cookie – about 2 -3 times more than the smaller twin. That’s why you bake them longer. 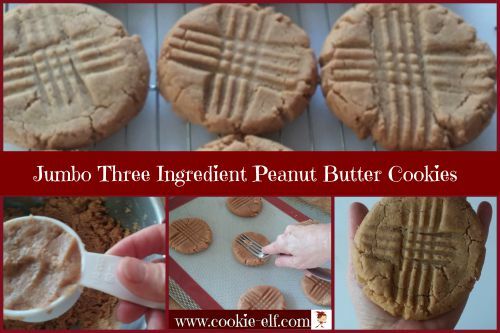 Get the full recipe for Jumbo Three Ingredient Peanut Butter Cookies … and check out our Jumbo Cookies Pinterest board for more cookie inspiration.